Backup is a great function provided by the current technology, which helps us to manage and store our important data. 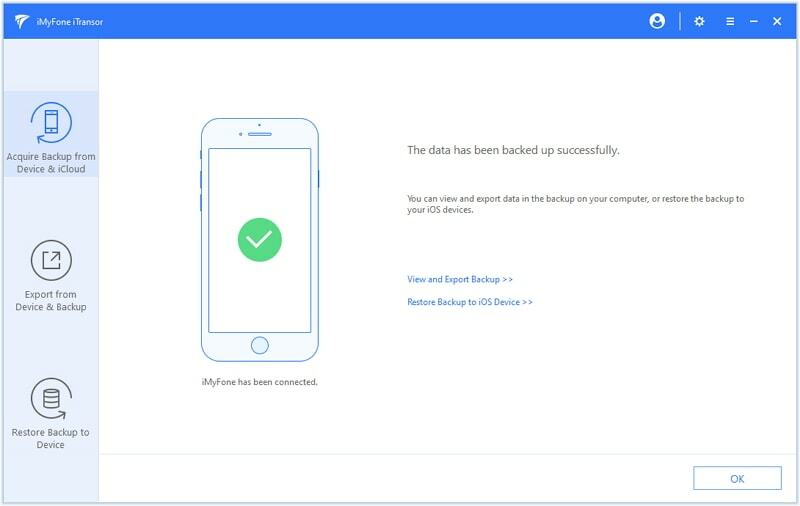 The biggest benefit of backup is that even if the files or images are deleted or lost from our phone, or we lost some data after updating iOS 12, we can still have them recovered in no time. The issue of corrupted iTunes backup is rapidly increasing. Many individuals have complained when they try to backup their data, it easily corrupts. Everyone wants a free solution for this problem with no backup or useless backup. 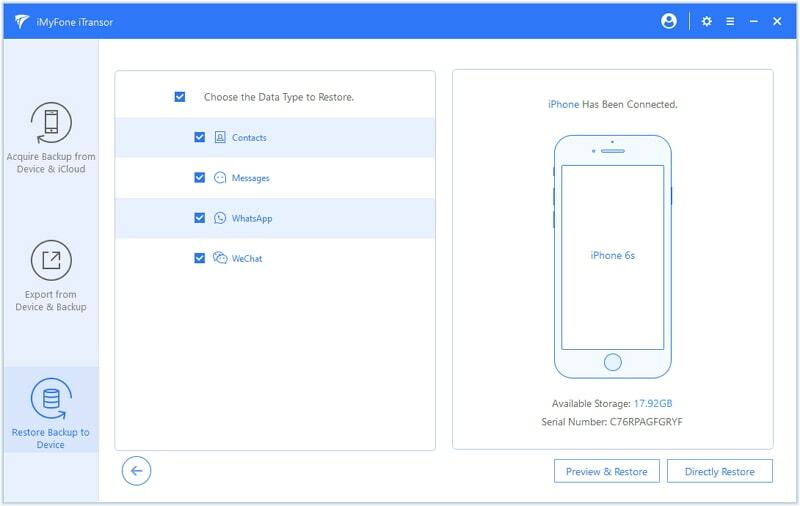 Although there is no completely free iPhone backup and restore software available yet, there are many free versions that will provide certain functions you may need. Here we have something you can't miss in this post. There are some iPhone backup & restore software available online but not all of them have met customers' requirements. Here we will offer you the best iPhone backup recovery free software. iMyFone iTransor is the perfect alternative for the iTunes and it will help you selectively export and backup most types of files that you need. It has been developed with the latest technology which allows you to backup and rsdtore within seconds. It is also compatible with all models of iPhone and other Apple devices like iPad and iPod Touch. 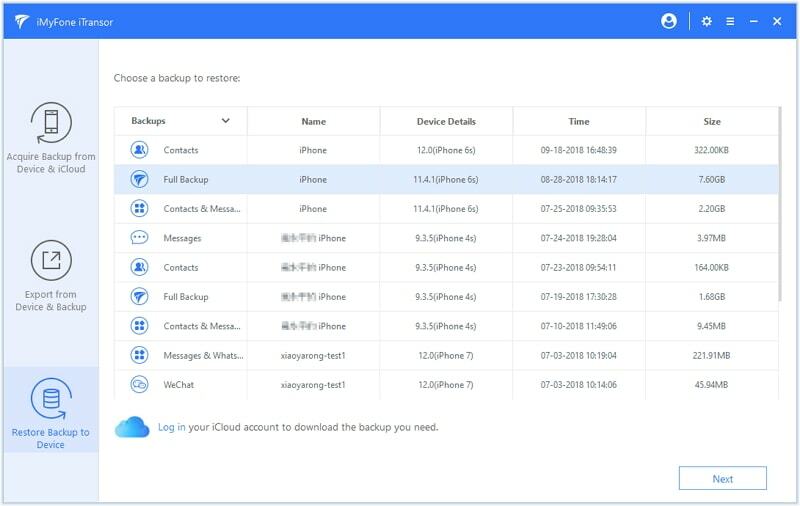 Separately back up iPhone content including messages, WhatsApp, WeChat, and contacts. The backups it makes, no matter the full backups or backups for certain types of data, won't overwrite the previous backups on your computer. It lets you decide where to save the backup files. You can easily view the data in backups without restoring your iPhone. Selectively restore the whole backup, a partial backup, or certain types of data from iTunes, iCloud and the program itself to iPhone whenever you want. 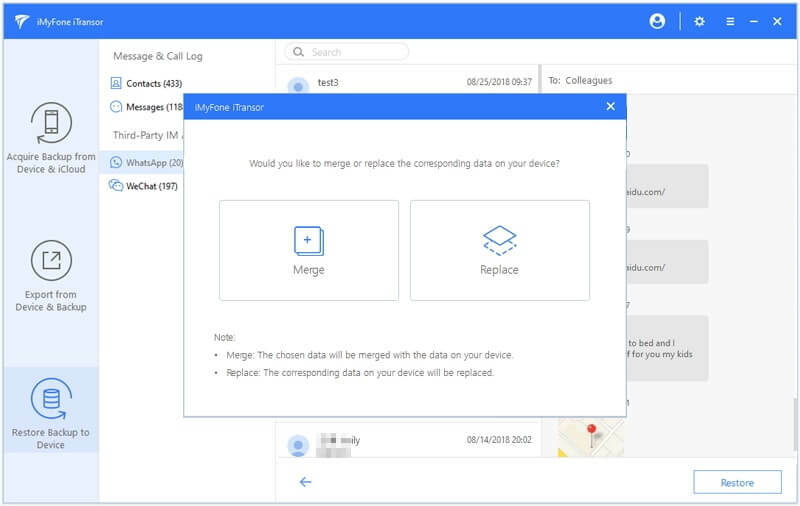 Merge the data in your backup with the current data on your device, so that you will not lose any data when restoring a backup. 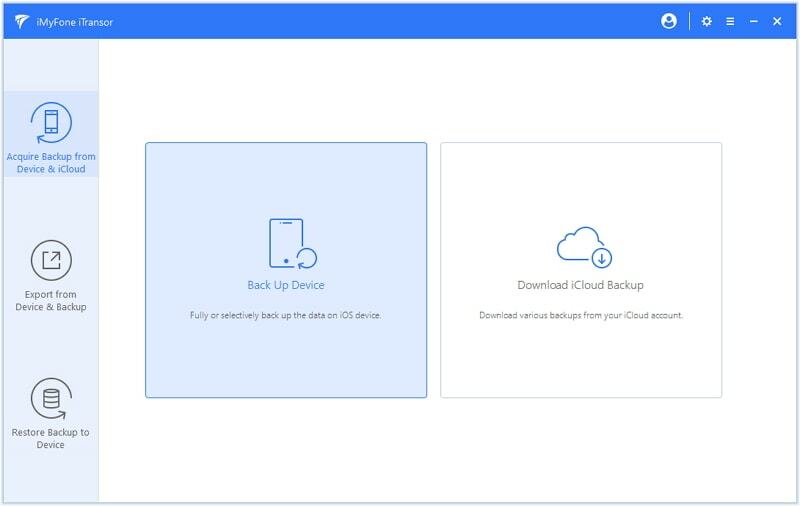 Step 1 – Download and launch the tool in your PC and click on 'Acquire Backup from Device & iCloud' given on the main interface. After this, you have to choose 'Back Up Device' option. Step 2 – You will now be prompt to connect your device. Do the same to proceed and find the two options on right column. They will be 'Make a Full Backup' or 'Select One or More Data Type(s). 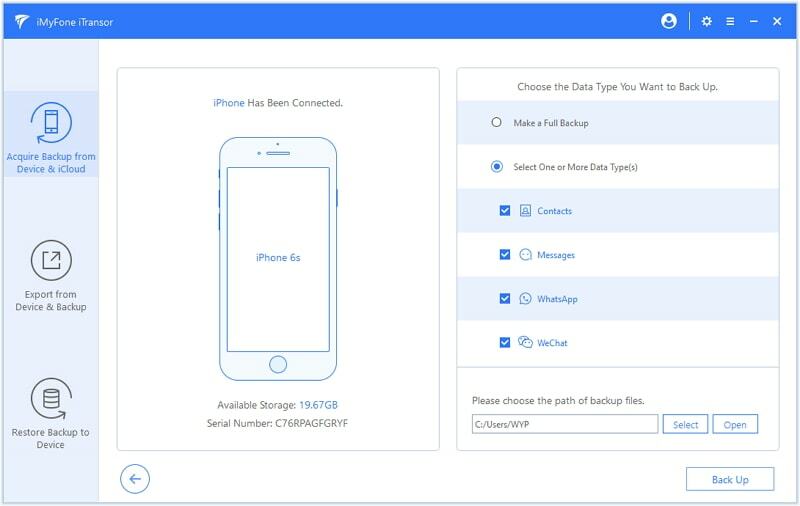 If you don't want to back up all the data on your device, you can choose the data type(s) that you want to back up. Step 3 – Choose the desired option according to your wish and then click on 'Back Up' button you notice on the bottom right corner. Don't disconnect your device and wait for the notification of process completion. The backup feature of this program is totally free. You can just download it and backup your iPhone, iPad, iPod touch (iOS 12 supported) now. 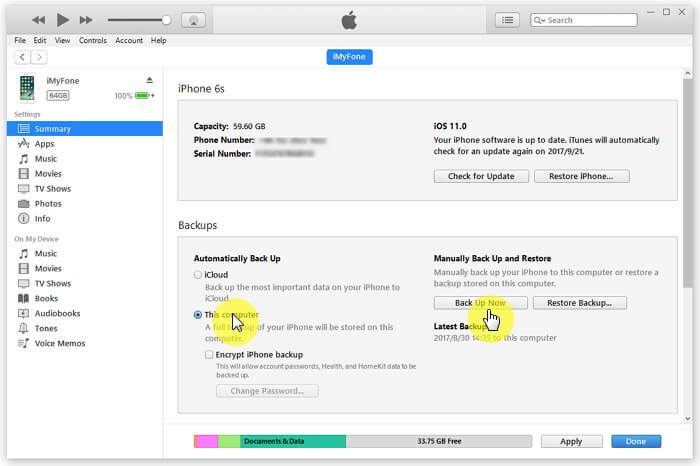 Step 1 – To begin with, open iMyFone iTransor and select the option 'Restore Backup to Device' option from the left panel. Once you click on the button, you will receive a table including the list of backup files that you've made. Step 2 – Click on the backup file that you need and proceed with clicking on the 'Next' button. With the help of this tool, you can either restore fully or partially as you can see the options on the screen. 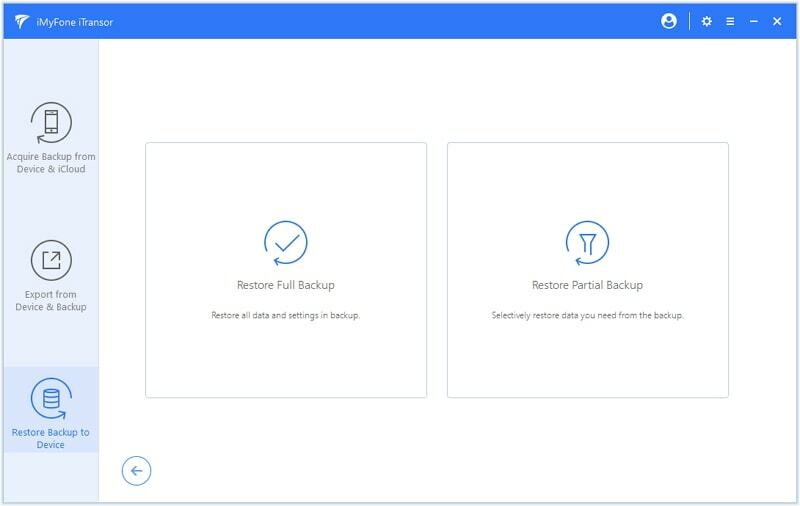 Step 3 – We will restore partial backup. Hence, for this we will click on 'Restore Partial backup' option. When it gets clicked, the list of data types will appear on the screen. Just select the ones you want to restore and choose either 'Preview & Restore' or 'Directly Restore' option. Step 4 – When you choose 'Preview & Restore' button, you will be able to preview your data and then click 'Restore'. Step 5 – Now, before restoring, you get two options 'Merge' and 'Replace'. Select the one you want and then the program will complete the restore process soon. Your Backup will be stored on Mac or PC. Storage depends on your Mac or PC's available space. Offers encrypted backups (off by default). 1. Access iTunes in your computer and connect your iPhone with PC or Mac. If the device asks you for your iPhone passcode, follow the on-screen instructions. 2. Select Backup Now to have a backup that is not encrypted. If you want to save your health and activity data, you will have to encrypt the device by selecting the relevant option on your iTunes. 3. 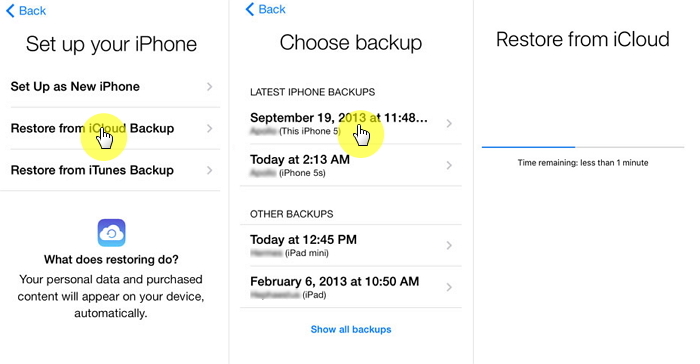 Once your iPhone's backup is done, you can view it under Latest Backup with the date and time. 1. Access the iTunes on your Mac or PC and use one USB cable to connect your device to computer. 2. Select your device and the options will appear on screen. Then click on Restore Backup and select the files you want to restore. 3. Click on Restore and wait for this process and enter your password if asked for. Your device should stay connected until it restarts and sync with your computer. Your backup will be stored in iCloud. Offers up to 2TB of storage (your first 5GB are free). 1. Connect your iPhone to the WiFi. 2. Tap on settings then scroll down and tap on iCloud for iOS 10.2 or earlier; for iOS 10.2, go to Settings -> your name -> tap iCloud. 3. 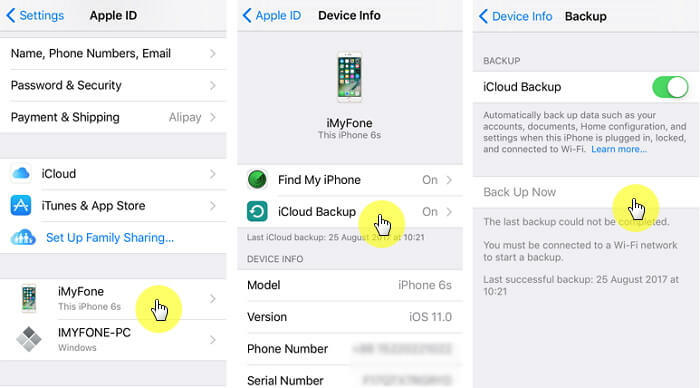 Tap Backup or iCloud Backup and make sure it is turned on. Then tap Back Up Now to wait for the process completes and keep connection with WiFi. 1. Erase all content on your iPhone. 2. Reach Apps and Data screen to set up your device. Then select the option of Restore from iCloud backup. 3. Log in with your Apple ID to select the backup and the files according to their date and size..
4. Then the restore starts and keep your device connected and wait until the restoration is done. iMyFone iTransor will be your perfect choice if you are looking for an iPhone restore software download free. 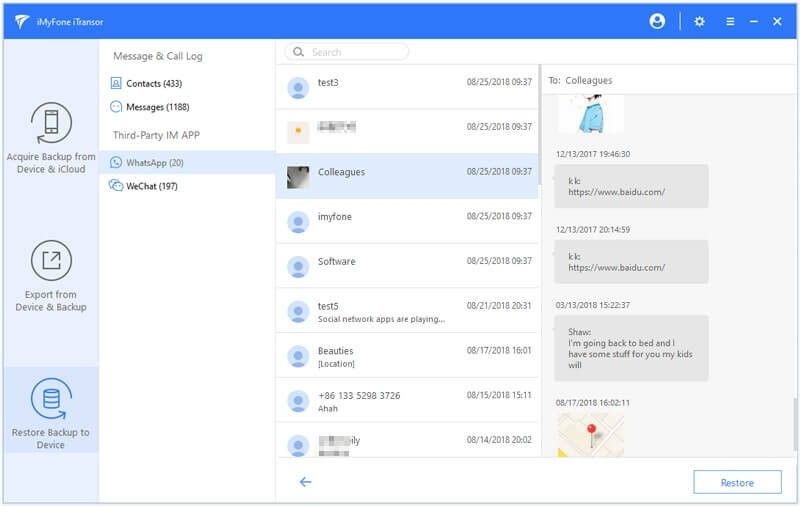 It has many amazing features and functions in free trial version. Try it without hesitation!